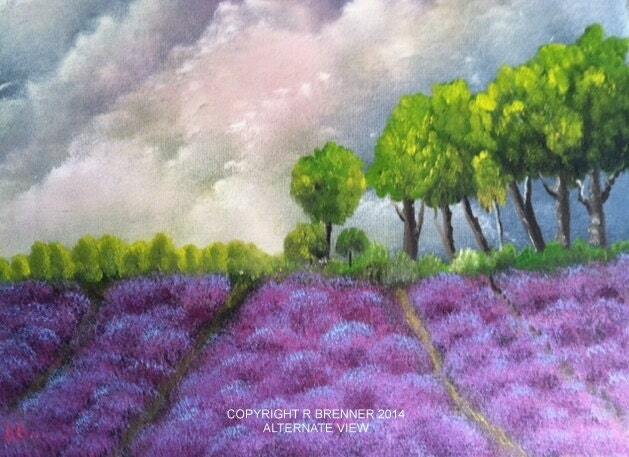 LAVENDER DAY is an original 12"x9" UNFRAMED oil painting. 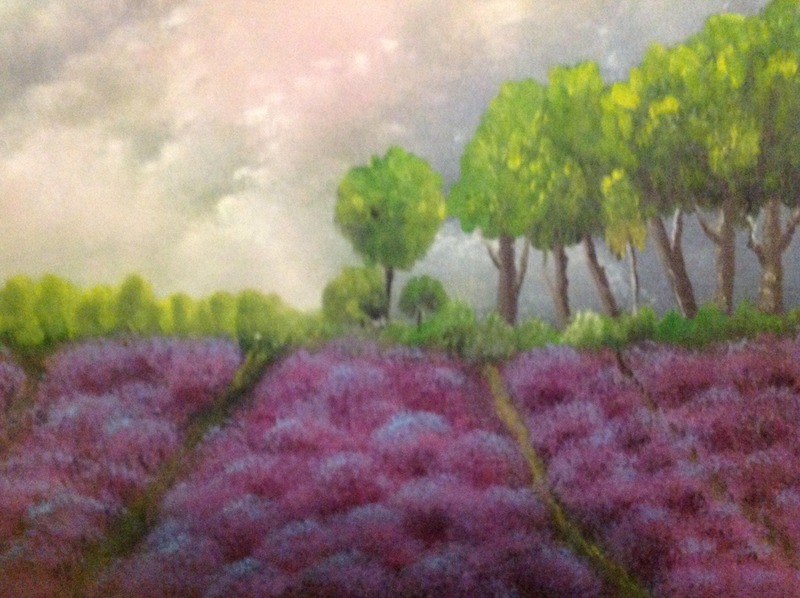 It is a bright, colorful scene of the lavender fields in Provence. 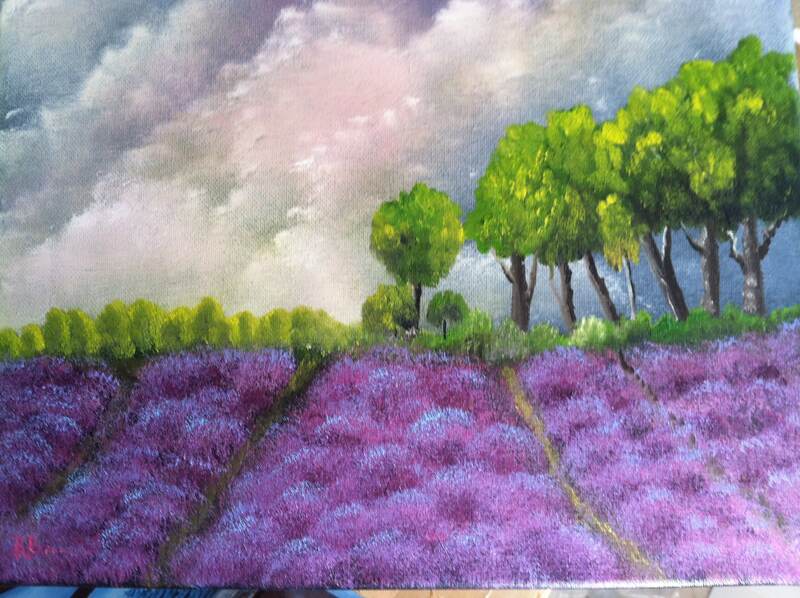 The lavender is bright purple that invites you to get a closer look to see if the flowers are real. The cypress trees are a vivid green. The second picture is a closeup of the field. 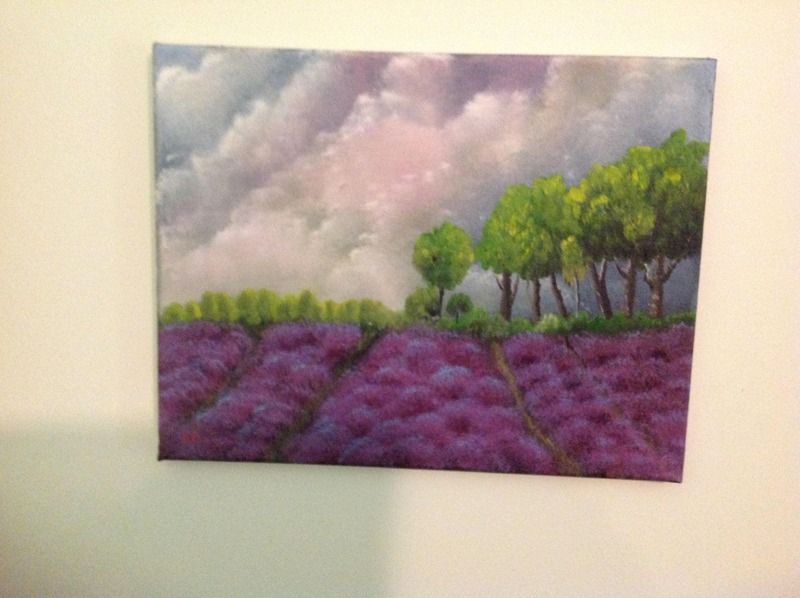 The third picture shows how beautiful this painting would look when it is framed. However, A FRAME is not included. If a frame is wanted, just email me and we can negotiate a revised price.